The right touch of colour is all you need to bring style and vitality to your home. Today on homify we want to show you how to go beyond a wash of paint and show you some fun and unusual ways to use colour in your home. Colour shows off your personality and sets the mood of any room. Whether you’re looking to bring harmony or zest to your interior design, here’s our guide to show you how to capitalize on colour. Bedrooms are usually done up in neutral and gentle colours to set the mood for rest and relaxation. 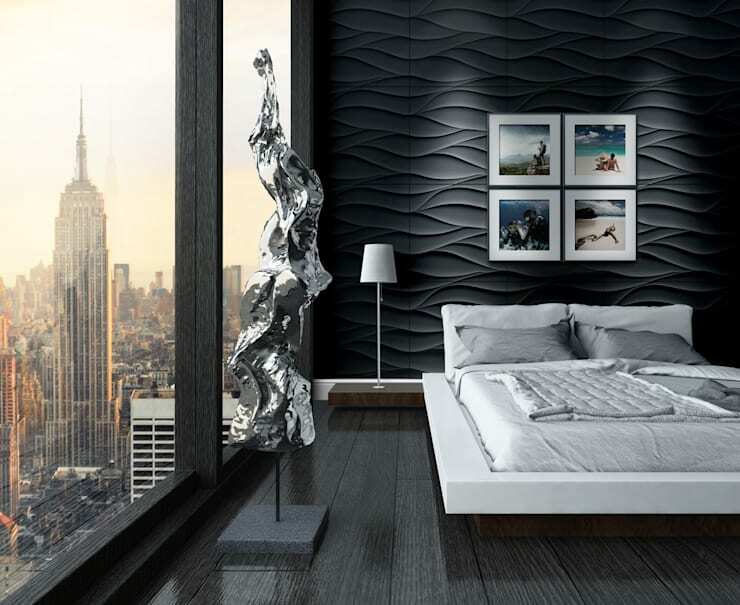 This bedroom wall design is far from the usual bright and delicate bedrooms that we’re used to seeing. Dark tones dominate the room from the pure black waves of the wall and the deep dark brown floors. A snow white bed provides glamorous contrast. The art in the room brings an icy chill to the room with its shades of silver and blue. Don’t be afraid to take a walk on the dark side. 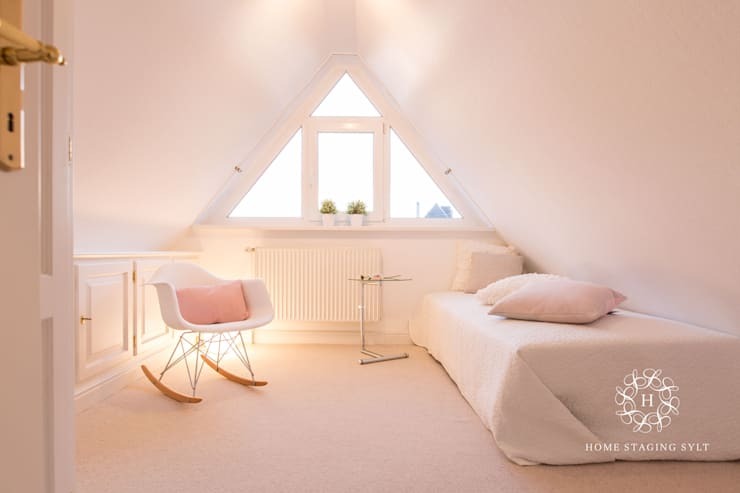 Pink is a tough colour to use in interior design. Even young girls grow out of their fondness for a princess pink bedroom. This bright pink can almost pass for white yet is noticeably warmer. This is a fun and unusual design and a good example of how a simple tweak in colour can set the mood of a whole room. Imagine waking up here in the morning as the gentle early morning light fills the gossamer pink room. If you live in a home with brick walls we hope that you’re bold enough to take advantage of their natural magnetism. 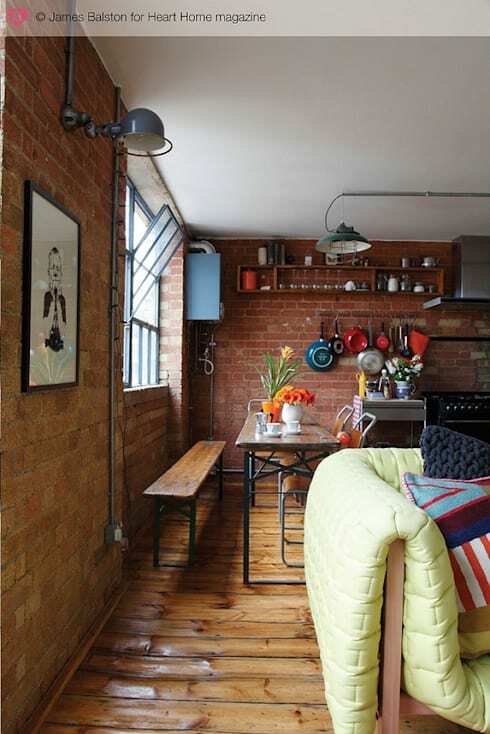 A naked brick wall like this is great for creating an industrial look in your home. The kitchen shows off the walls by having open cabinets. It’s also an option to paint over brick, but we love the raw look of this room. While brick might be a traditional material for the home, it’s unusual in its ability to combine old world charm with modern industrial edge. We love wood in the home for its versatility. A dark shade like this is an elegant choice for a home. The high contrast between the crisp white walls and the dark beams recalls a stylish chalet. 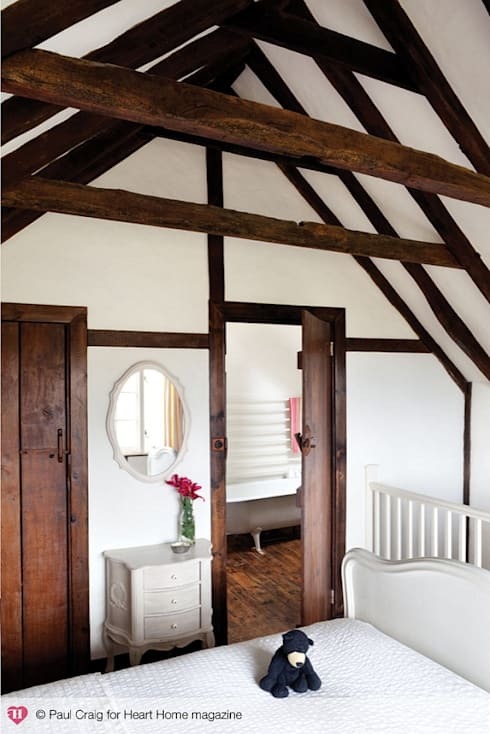 The original architecture of the home is a great source of interior design inspiration. homify knows professionals who can help you engage your architecture with your interior design. In this room, the high contrast helps draw a linear pattern that dominates the look of the room. It’s an unusual look that’s bold, yet refined. For decorating with tiles in the bathroom there are endless possibilities. There is a huge range of colours and textures to choose from like marble, cement, or porcelain in a myriad of shades. 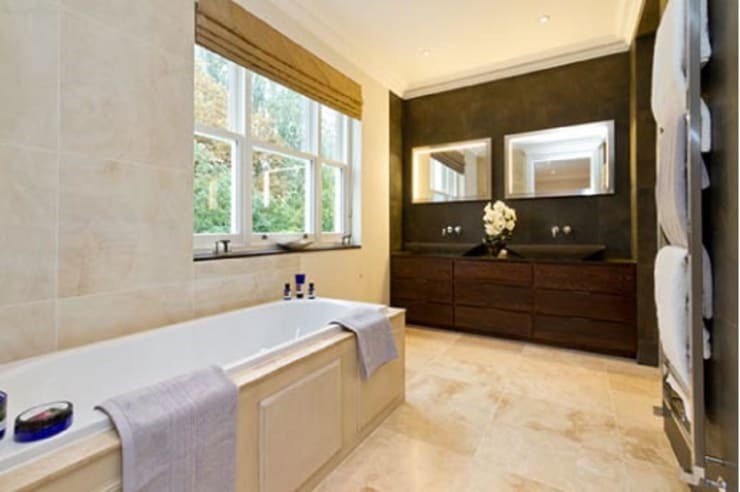 In this bathroom, there is a mix of marble and porcelain tiles used in the design. The tiles used on the wall by the sinks are dark in contrast to the natural iridescence of the other tiles in the room. Diversity in your design helps make your home unique and personalized for you. Smooth and levelled walls are the perfect canvas for adding colour. 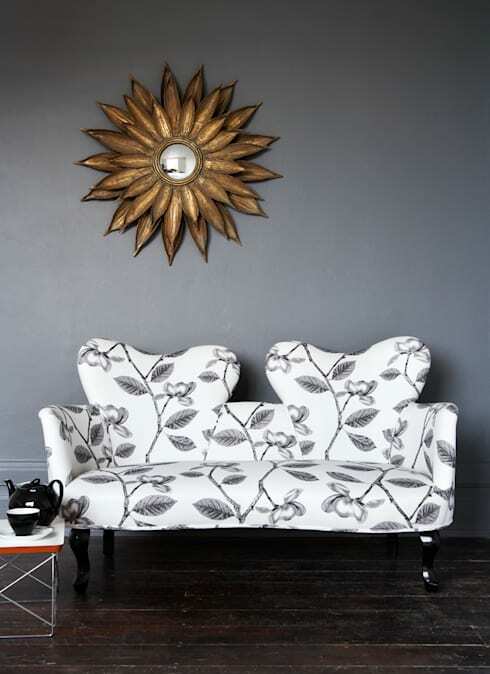 A warm medium grey is the backdrop for the white sofa decorated with entwined blossoms. Repeating the same grey colour in the same space creates a solid sense of style. This skill of matching and repeating shades is perfect for any room in the house. Be sure to break up the look before it gets too matchy and embrace accent colours and pieces in your home. Using textiles like curtains, cushions, rugs, and linens is the fastest way to bring colour to the home. They can be easily changed up to refresh the look of a room while adding comfort and warmth. 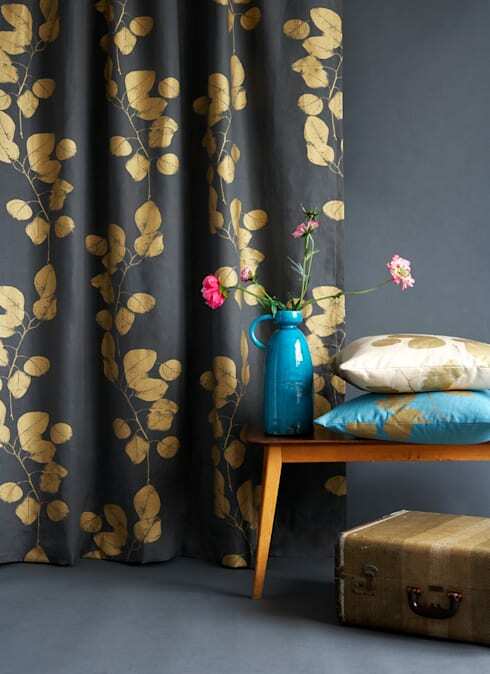 In this room, textiles with different colours adorned with the same golden leaves pattern give the room high style. Try finding a pattern that you like and reiterate it through the home using different colours. It’s a quick and simple way to make a home look put together. 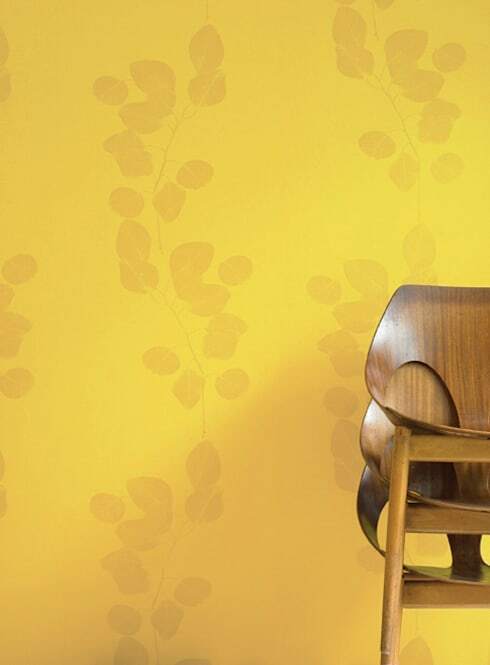 The basic sunny yellow wall transforms into an impressive and refined design because of the addition of a golden pattern. Putting patterns on walls, mirrors, furniture, and textiles in unexpected places makes your home more authentically yours. This pattern on the wall adds another layer of interest to the room. It’s the perfect unusual way to add colour to your home! 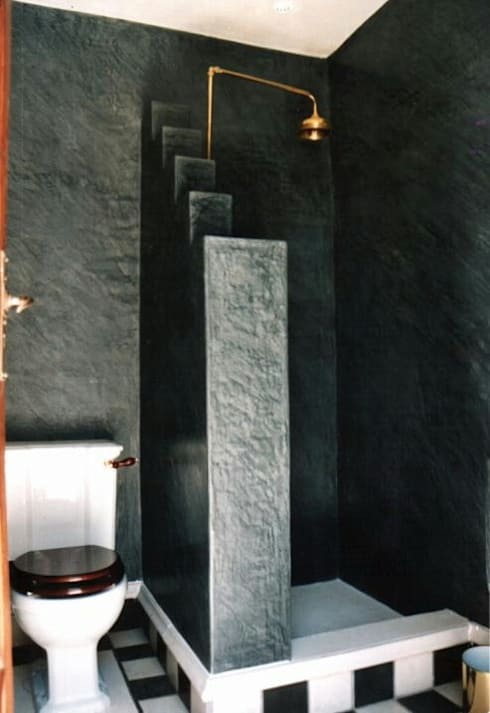 An all black bathroom is a challenging design concept. This bathroom has a glossy wall treatment. It's reminiscent of the facades and interiors of a traditional Mediterranean building. The black colour intensifies the special charm of the material. A high contrast white and black tile for the floor is an eye-catching complement to the black walls. When the light hits the coarse texture of the walls surface, it reflects the light. The walls have an unusual polished sheen. Finally, we end our list of unusual ways to add colour to the home with this look. Round golden stickers sprinkled on a pink wall create a look that’s fun and effortless. We hope you enjoyed our guide! For more unusual home design ideas, check out our feature on 10 unusual homes from around the world.